For most people, Gmail is merely an email client where they check and send emails. 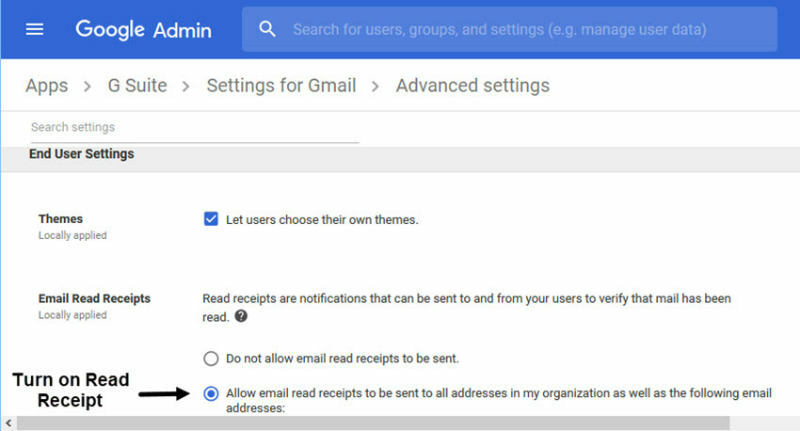 You may not know it, but there are many ways to get more out of Gmail. With these browser extensions, you can get even more helpful functionality! 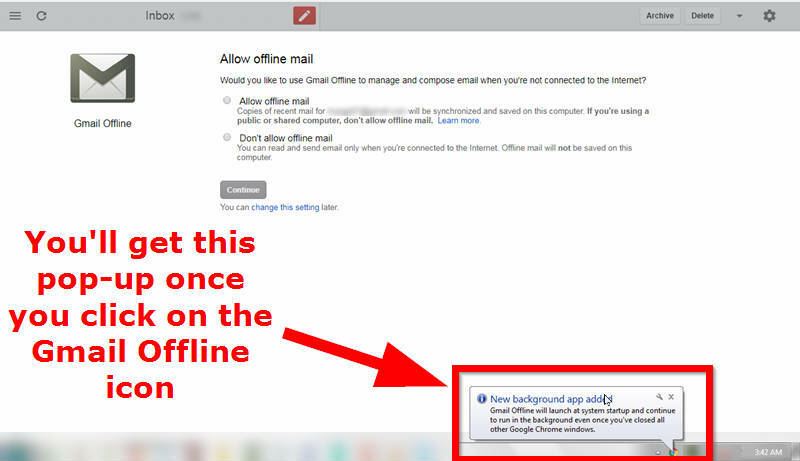 Schedule Emails, track them, keep your inbox uncluttered, and yes, use your Gmail offline! Let’s explore how you can get all these done with only a few clicks of your mouse. Sometimes you get an email you’d rather not have at the moment. Say you receive a mail about a conference coming up in a month. You don’t need all the information in the email yet; you want it a week before the conference. You can snooze the mail and schedule it to come back when you need it. You can achieve this feat using Inbox by Gmail. 1. Open the email you want to snooze or reschedule. If your email has dates and times as in the example above, a time will be suggested based on these. You can still choose whatever time you want. You can also snooze until “Someday.” Use this option when you are not sure when you will need the information. You can then go back and edit your “Someday” in the Snooze Menu. You can snooze until you arrive at a particular place. Do this by using the “Pick a place” option. 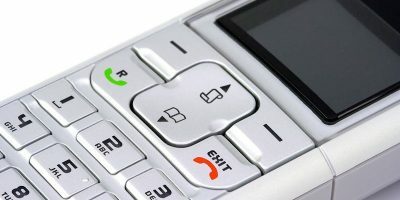 Set the location, and when you arrive there, you will receive the email. Have you ever sent an email and are nervous, waiting for a response? It is even worse because you don’t know if your email was read or not. Gmail solves this problem for you. You can track email receipts and openings using Chrome extensions like Contact Monkey, MailTrack, and Yesware. The MailTrack brand has no limit to how long you can use it. 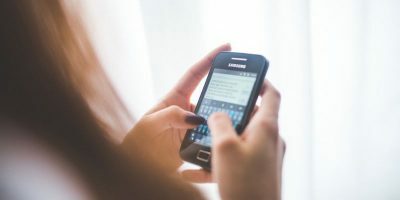 But the “Sent with MailTrack” brand goes with your messages, so if you want to use this professionally, you may want to consider paying for the app. Contact Monkey lets you try it for fourteen days. 3. Wait for your extention to load. 5. 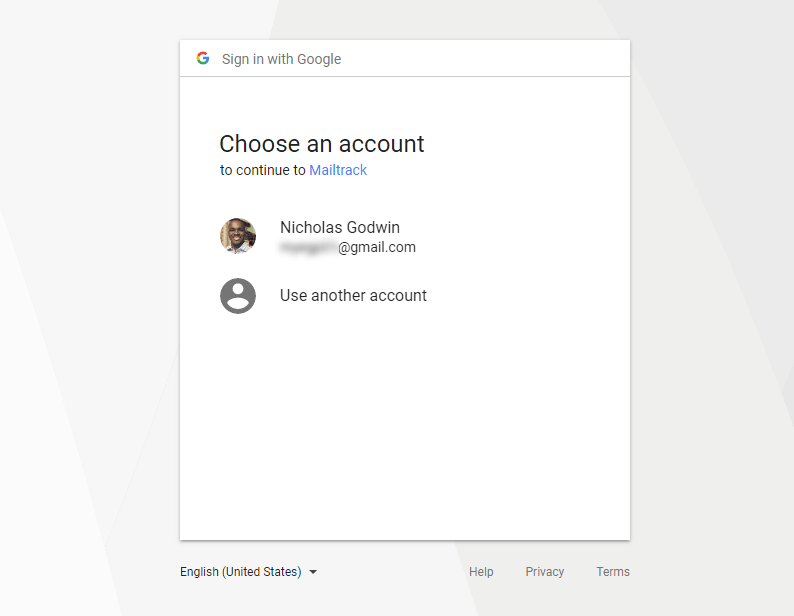 Click on the Gmail account you prefer to use. 7. 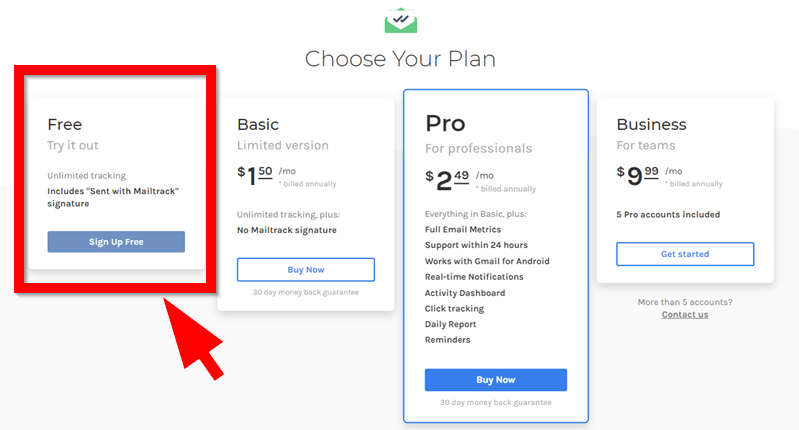 The app will want you to upgrade immediately by presenting you with their payment plans. Choose Free, as it has unlimited tracking, and you don’t have to upgrade at any time if that’s not a fit for you. 9. 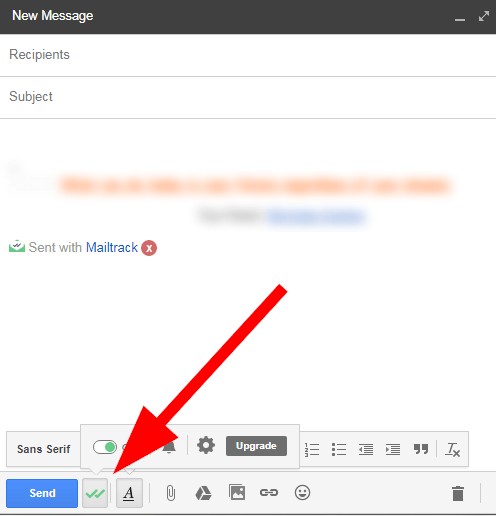 You’ll find the extension’s icon on your Gmail as seen in the image below. You’ll also get an email from them asking you to upgrade if you don’t want the “Sent with MailTrack” brand or you intend to use this professionally. 10. The following image is how the “Sent with MailTrack” ad will appear in your email. 11. 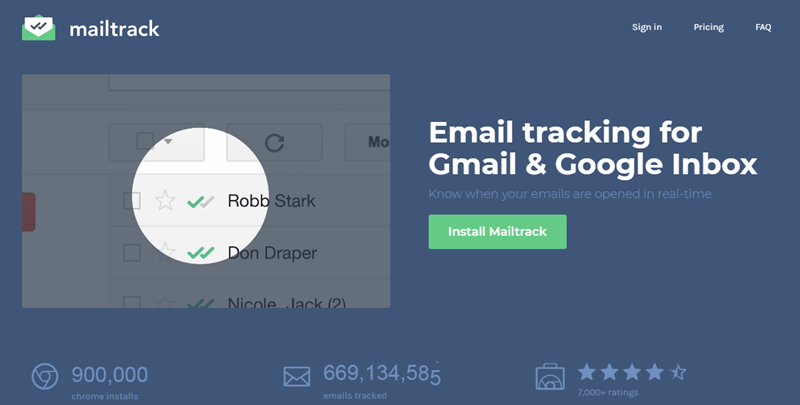 You can choose to turn off MailTrack when sending an email if you don’t wish to track that email. 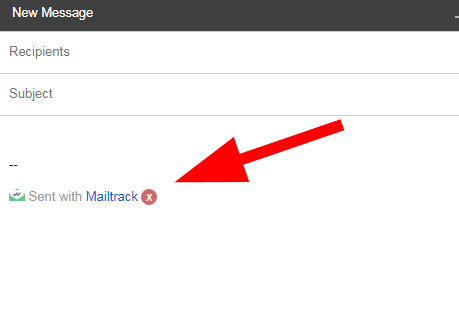 Just click on the MailTrack icon in your message box and switch the toggle off. You can also control your MailTrack settings from here. 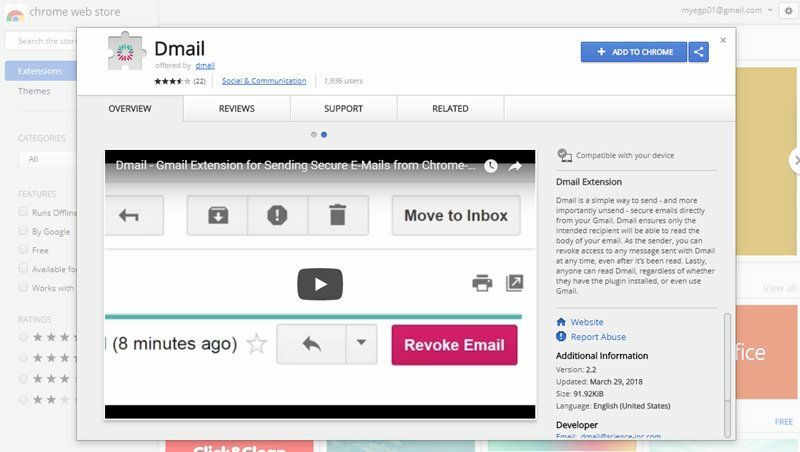 You can also use Google’s paid service, G Suite, to track your emails. Turn on the function in “Email Read Receipts” as shown below. 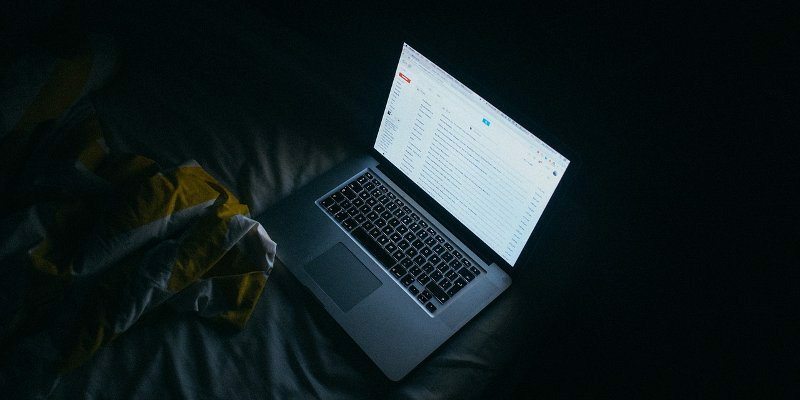 Have you ever sent an email and wished you could take it back? Or sent an email that you want the recipient to access for a limited amount of time? 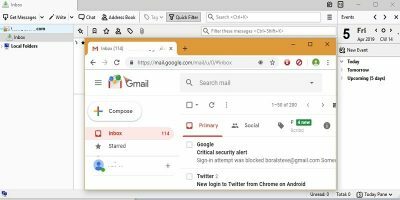 You can do this on your Gmail with the use of a Chrome extension called Dmail. 1. 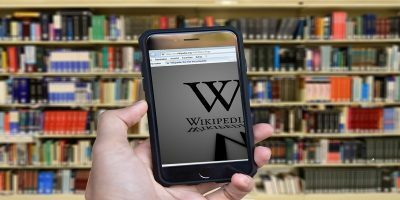 Download the extension in Chrome. 2. 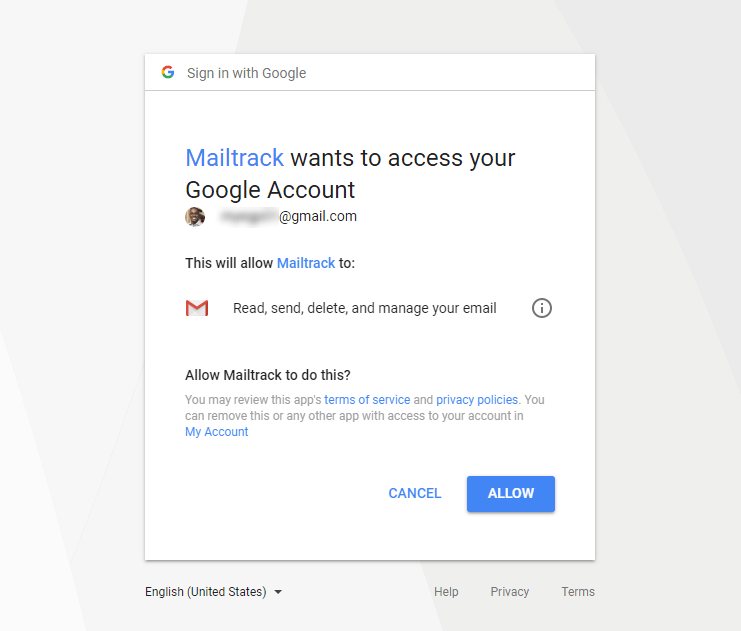 Open your Gmail and permit the extension access to your mail. 3. When you want to send your emails, make sure the Dmail toggle is On (as seen in the screenshot below). You can set how long you want the mail to remain before it is destroyed. Even if you set “Never,” you can go to your sent folder and “Revoke” the mail. 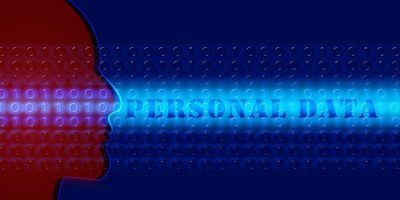 You receive emails on a constant basis, so you may want to access your inbox without going online. Gmail Offline helps you solve this problem. 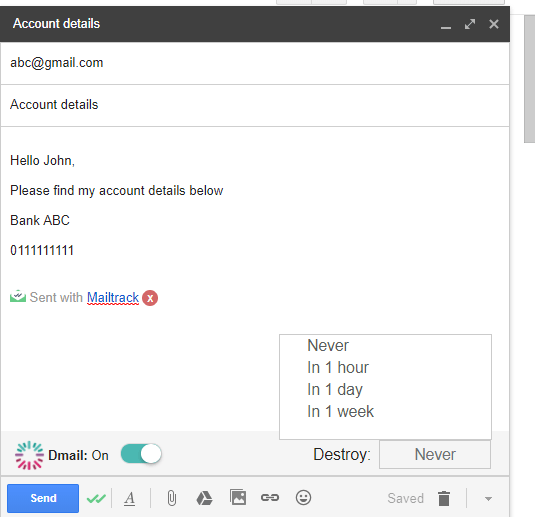 You can respond to emails and delete or archive emails. 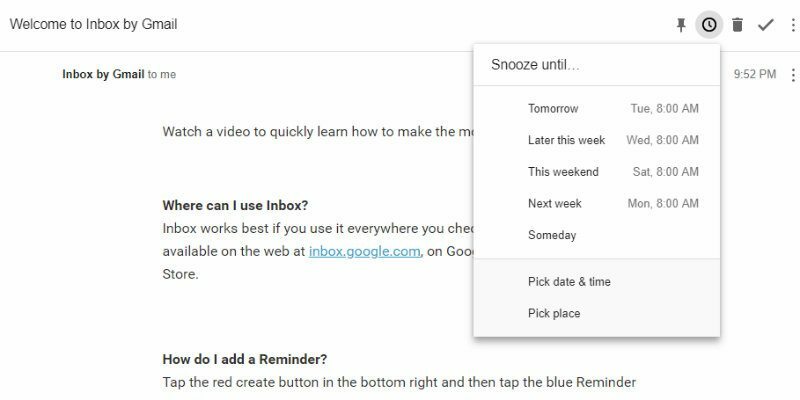 Once you go online, Gmail automatically syncs everything you’ve done offline. 2. You’ll be taken to your Chrome apps. 3. Click on the Gmail Offline app. 4. You’ll get a pop-up notification. 6. 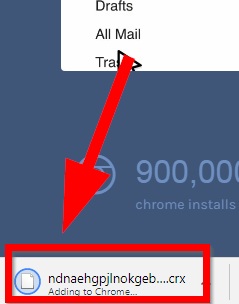 You can access your Gmail offline anytime by entering chrome://apps in your Chrome’s URL box, and hitting Enter. When the page loads, click on the App to open it. 7. In the Settings you can determine the length of time you want your offline Gmail to cover. That’s it! 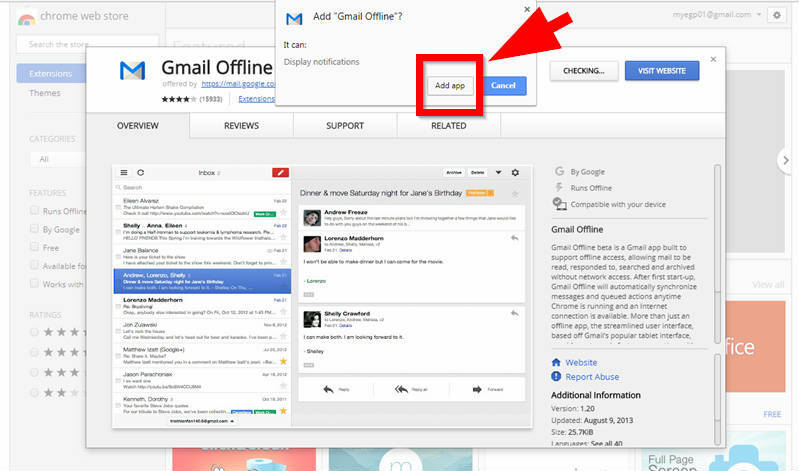 You now have access to Gmail offline. That’s it! You can put your email sanitation on autopilot, track your emails, use your Gmail offline, and schedule to read your emails later (in time or space). If you found this helpful, please click on the “Yes” button below, and don’t forget to share what you found most helpful in the comments.